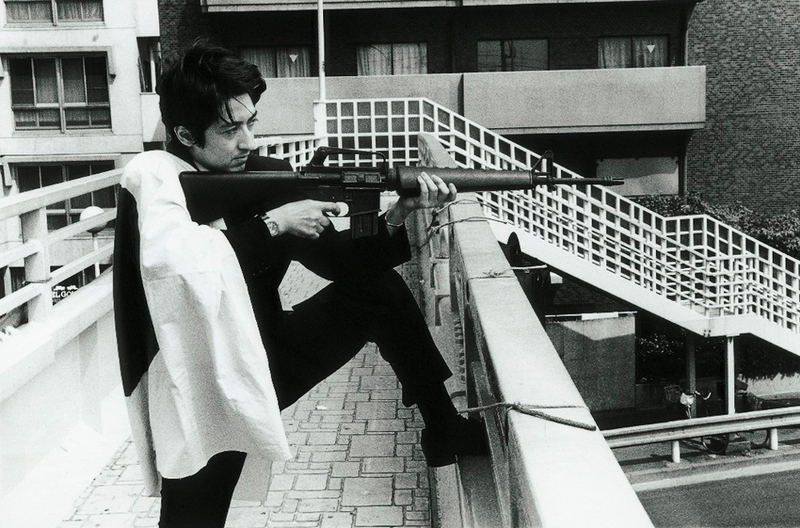 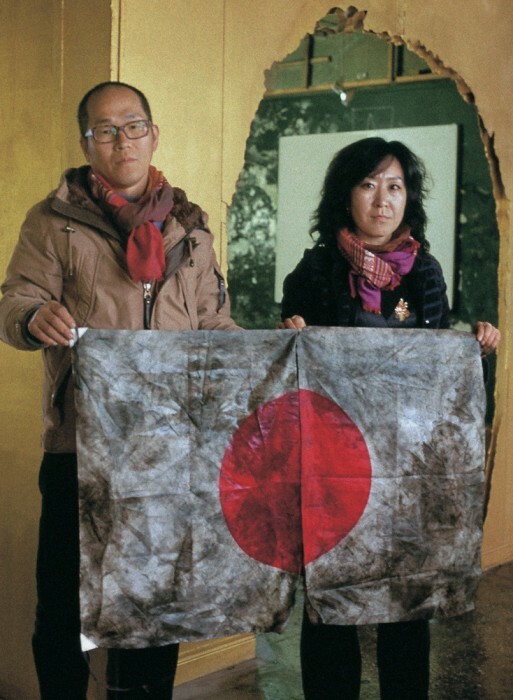 Mao Ishikawa is from Okinawa. The Okinawan islands were occupied by the United States from the end of World War II to 1972, when they reverted to Japan; earlier still in history, up until the late nineteenth century, they formed an independent state known as the Ryukyu Kingdom. 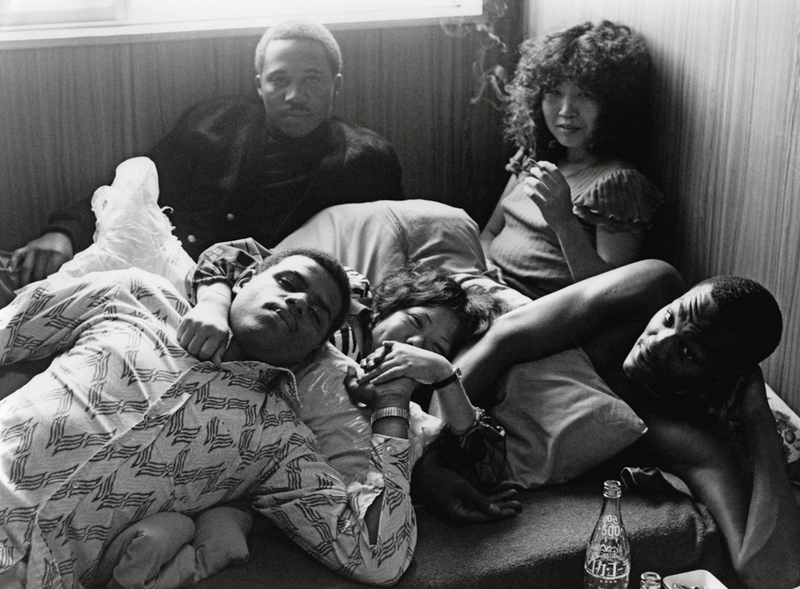 Ishikawa’s debut series “Hot Days in Okinawa”, photographed while working in bars for U.S. servicemen in Okinawa, gave a gritty record of the daily exchanges between the hostesses there and the black soldiers who were their customers. 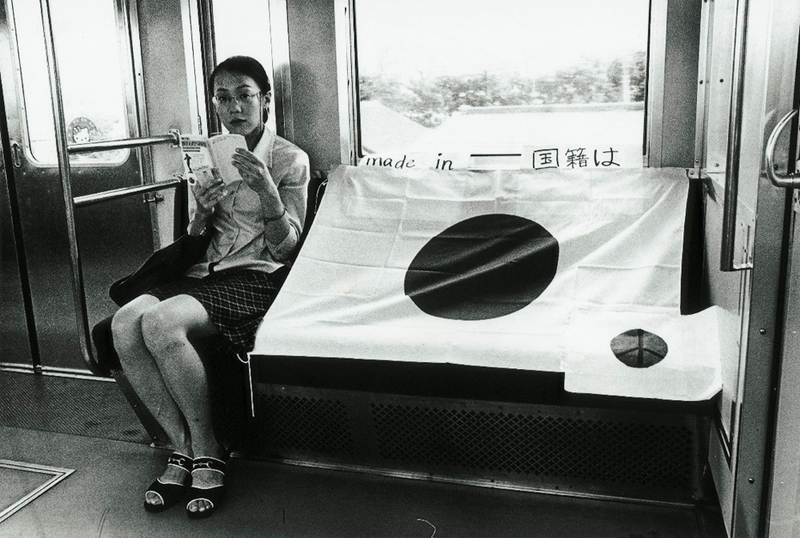 She has kept her gaze fixed firmly on Okinawa ever since. 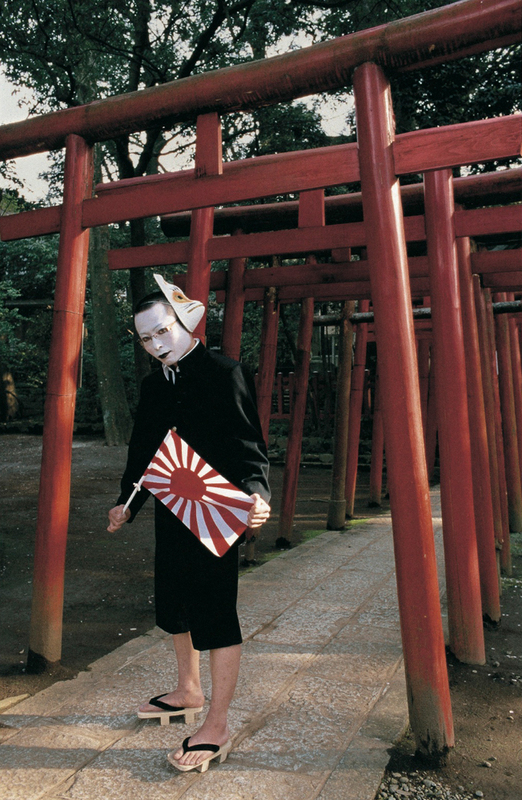 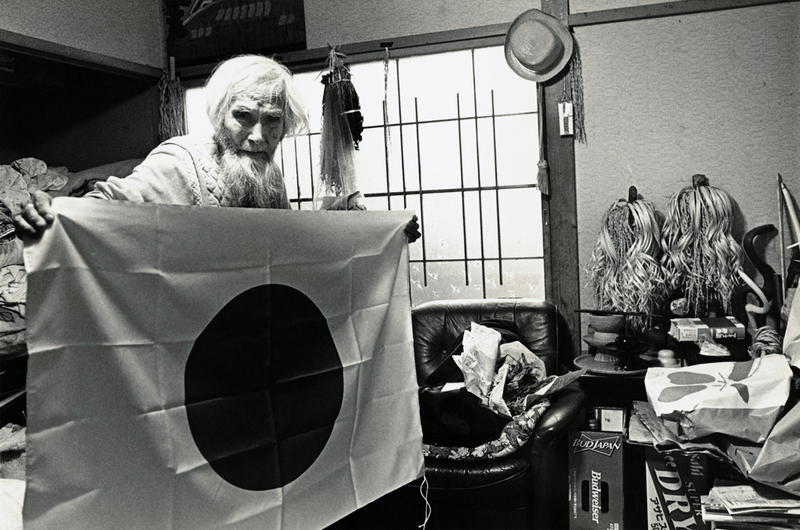 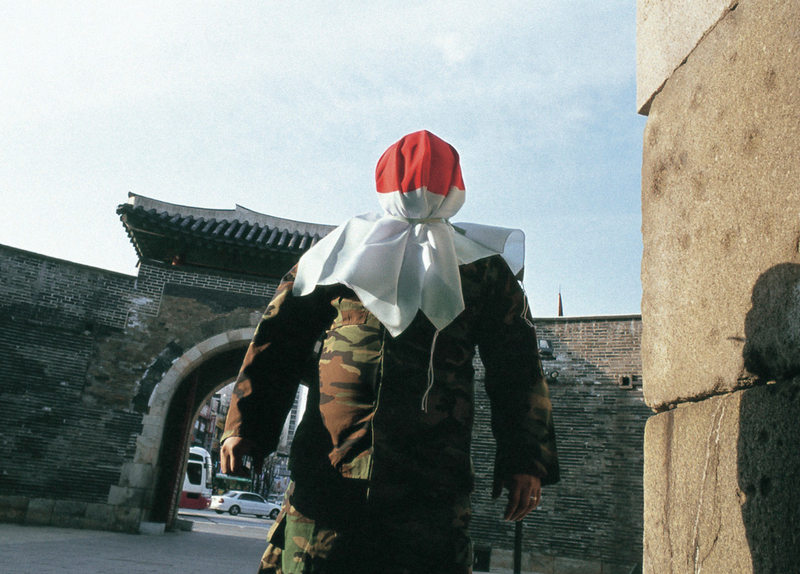 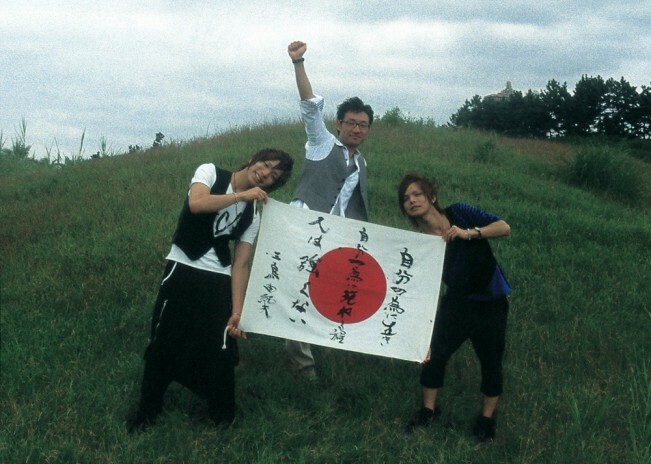 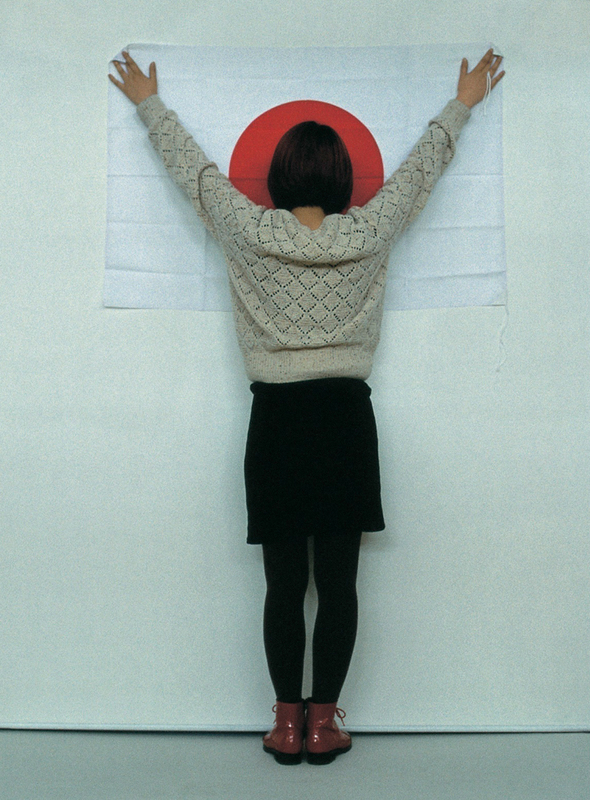 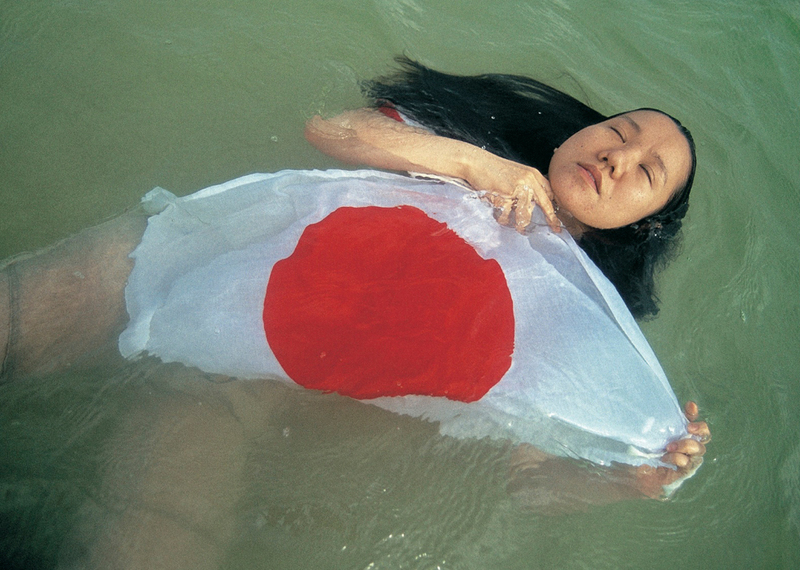 The series “Here’s What the Japanese Flag Means to Me” , presented here, captures subjects from not only Okinawa but beyond—mainland Japanese, the indigenous Ainu people of northern Japan, Korean immigrants—in poses that express their feelings toward the Hinomaru, or Japanese flag. 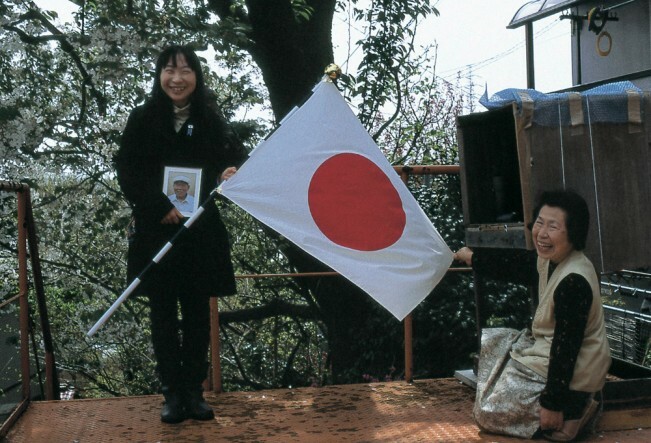 Coming face to face with the flag, people cannot but also confront the legacy of the war. 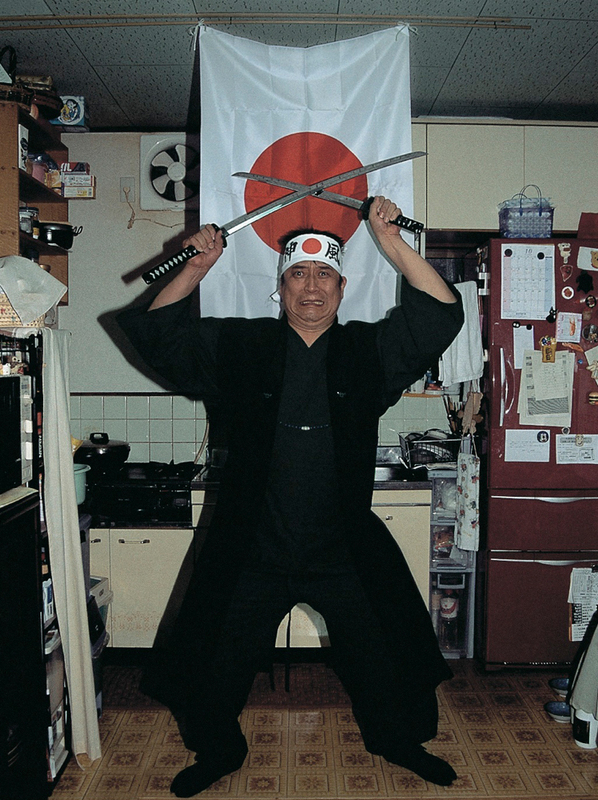 The potent power of the object called the Hinomaru plays out before the camera in scenes of strange wonder that reach beyond the intentions of even the photographer herself.